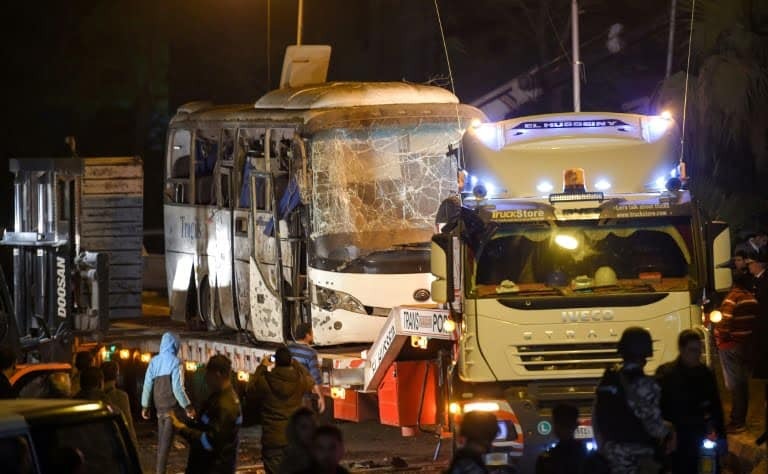 Three of the tourists were killed along with the tour guide, an Egyptian citizen, Attorney General Nabil Ahmed Sadeq said in a statement. The two dead were Vietnamese holidaymakers would had been visiting the pyramids near the capital Cairo, according to the country's interior ministry, which confirmed 10 more were wounded. No group took immediate responsibility for the incident. Still, Egypt had 8.3 million visitors in 2017, according to BBC. Prosecutors said they had launched an investigation "to arrest the perpetrators". Egypt's Ministry of Interior announced on Saturday morning that it has killed 40 terrorists during raids on three terrorist hideouts in Giza and North Sinai. "We were going to the sound and light show and then suddenly we heard a bomb". The bus driver later told local media he had not deviated from the route. Egypt's government says it is prioritising fighting Islamist militants, as it works to restore stability after years of turmoil following the Arab Spring protests of 2011. Two German tourists were stabbed to death at a hotel in the popular Red Sea resort of Hurghada previous year.